Number 300! 300 quilts quilted for the Western Australian Quilters Association Community Quilts program in the 54 months since June 2012! 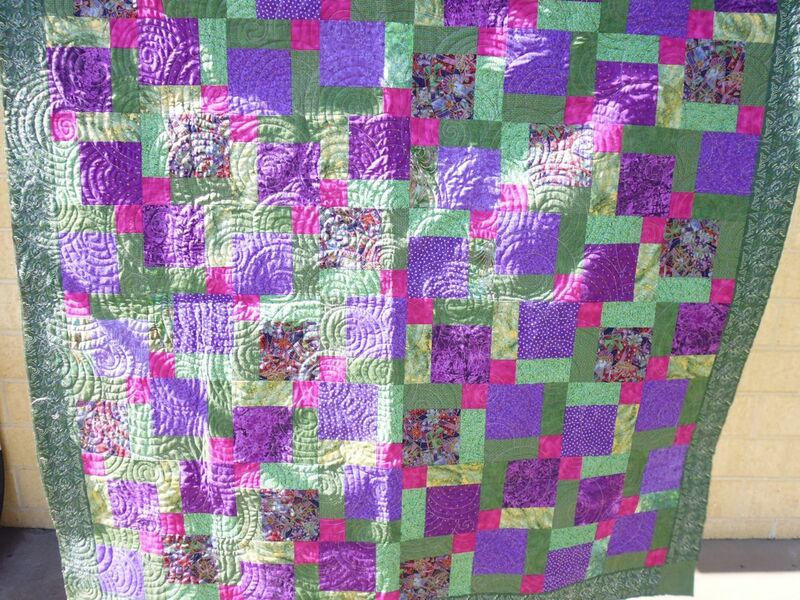 This 300th quilt used fabrics in dark jewel tones, and looked to me like a disappearing nine-patch. 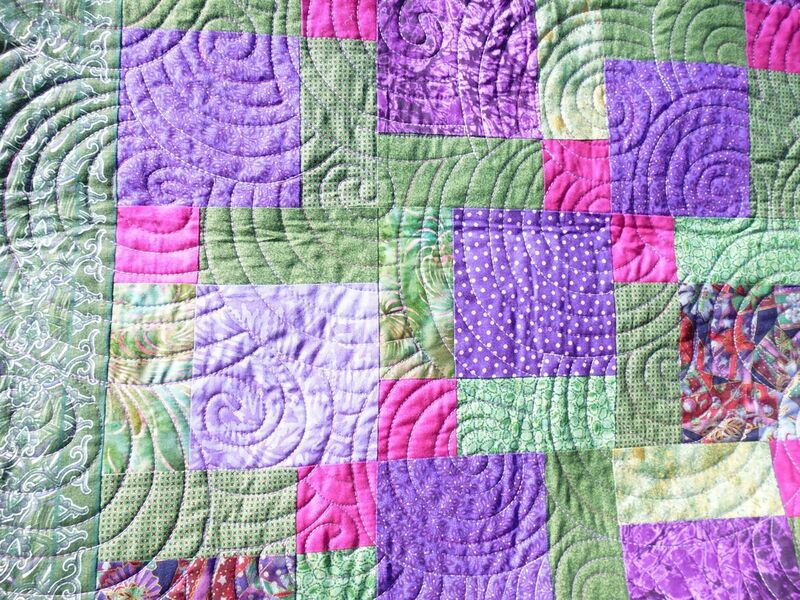 I decided to quilt it in spirals to counterbalance the geometric nature of the blocks, using a variegated purple thread. Looks wonderful Rhonda. Sorry I have been tardy in responding. Still trying to get my head around this job!